“Ms Sheed received an applause and shouts of support when she said she would be proud if she changed the seat of Shepparton after 47 years” – via Shepparton News Twitter account, from the candidates’ Q&A forum in Shepparton, 26 November 2014. In the Victorian State Election last Saturday, I voted in the safe Liberal electorate of Hawthorn but for a long time I lived in Dookie, in the safe National electorate of Shepparton. Safe seats can be boring places on election day, and frustrating places to live, no matter what colour they are. But living in a safe seat in a very middle-class suburb of inner Melbourne is one thing; living in a safe seat 200 kilometres from the steps of Spring Street is something else altogether. I grew up in a Shepparton electorate represented by Peter Ross-Edwards, who was the member for 24 years. After his retirement, the ex-TV and radio newsreader and sports commentator Don Kilgour stepped in, and after that, the ex-local councillor Jeanette Powell was elected. All three were, are, decent and respected people who represented the electorate well. Unfortunately, they were representatives of one of the safest electorates in Victoria. After the last election, Shepparton was held by a very comfortable 25.9 per cent margin – making it the second safest Coalition seat in the state. No matter how hard a local member works, or how much they are liked, the reality is that safe electorates just don’t get as much love as their marginal cousins do. No matter which party is in government, they aren’t as much of a priority as elsewhere because seemingly one side thinks they are a sure thing, and the other side thinks the effort is wasted. And on it goes. But after 47 years of being a safe National seat, change could be coming to Shepparton because Suzanna Sheed, the formidable independent candidate who only declared she would contest the seat a month before the 29 November election day, looks to be a very good chance to soon be sitting on the green seats in Spring Street. People outside of the electorate have probably heard more about Shepparton in the past 48 hours than they have in a very long time – at least since the national media coverage about the future of SPC earlier this year. And all of the information suggests that not everything in the electorate is peachy. Shepparton has one of the highest unemployment rates in the country, a sub-standard VLine train service*, and much complained about health services – to name some. As mentioned, I don’t live in the electorate any more, and I wasn’t in the electorate during the campaign (though I did regularly speak to people who were), but these are issues that have existed for a long time. I’ve no doubt they are issues local members have raised with parliamentary colleagues repeatedly over the years too. Regional neighbour Bendigo, just a little over to the west, had marginal seats, and it got a lot of love this election, as did regional cousin Ballarat – lots of promises of hugs, kisses, and maybe a diamond ring if all of the courting went well, from both the Coalition and Labor. Suzanna Sheed worked this to her advantage in her election campaign – highlighting what those regional areas were getting, and reminding people that the Shepparton electorate has missed out for too long. This morning, Federal Liberal for Murray, Sharman Stone, who has her electorate office in Shepparton, said on Sky News that the result in Shepparton was no surprise, that the issues about the electorate were clear, and that the media is out of touch with regional and rural Australia. She is right. So much were the media out of touch, that all media (excluding the Weekly Times, and the local Shepparton media) missed that there was even a contest, and to my knowledge, none of the TV networks even had a photo on hand of Sheed to use in their fancy graphic displays on election night. While most metropolitan media didn’t see the upset coming, the Liberals did. Weekly Times journalist Rob Harris shared on Saturday night that the Liberals warned the Nationals five weeks before election day that they were in trouble in Shepparton, and the warning was dismissed. Victorian Nationals Leader Peter Ryan (who today stepped down from that leadership role) was vocal on Saturday night about his unhappiness that Sheed announced she would run for the seat only four weeks before election, an apparent attempt by him to undermine her credibility. But surely the issue for the Nationals is not that someone swept in so late, it is how someone can stand only a month before election, in such a safe seat, and win? How can the Nationals get it so wrong, and miss the mood of the electorate they lived and breathed for so long, by so much? And how can Ryan complain that Sheed stepped up at the last minute on one hand, and then say today that her campaign was a ‘very well orchestrated ambush‘, inferring somewhat longer-term planning, on the other? To be fair to Ryan – he himself does know the electorate. Although now a Gippsland member, he grew up in Shepparton, and went to high school there. It has been said that he is the one who fought hard to secure the money for SPC when many of his Victorian Coalition colleagues did not want to (Did someone mention safe seat status again?). It must be especially hard and personal for him that this seat has fallen during his leadership. I do believe Ryan takes Shepparton seriously but it seems other senior Nationals did not. As best I can confirm, no senior federal National visited the electorate during the election campaign (and nor did Denis Napthine). Federal leader Warren Truss was known to be unwell during that time, but Barnaby Joyce was not. In the recently-aired ABC documentary ‘A Country Road: The Nationals’, Joyce made his views clear that SPC was in a Federal Liberal seat, and the National Party only needs to fight for seats that are National seats. So it is peculiar that even with warning there was trouble, he did not help campaign in Shepparton this election, as Julie Bishop did in Liberal seats, and Bill Shorten did for Labor, and Adam Bandt for the Greens (to name just a few). Today Peter Ryan said of Joyce’s comments about only fighting for issues in National seats: ‘I was annoyed and they were unhelpful’. 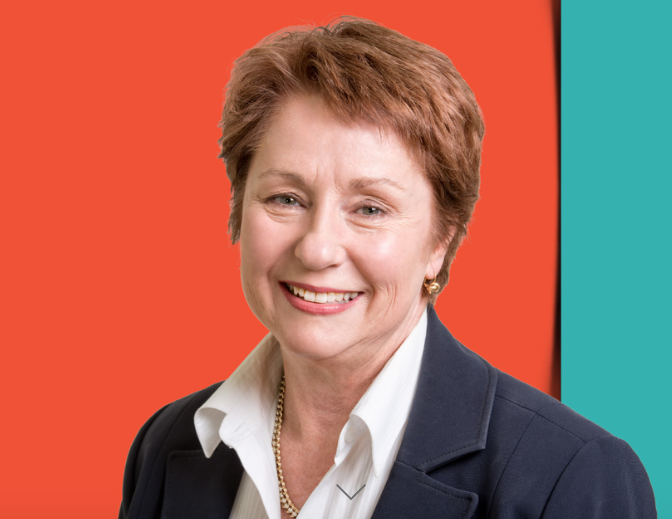 Elected in 1996, Jeanette Powell has been a popular local member in Shepparton, and was the first female to represent the National Party in the Victorian Government. Respected by her colleagues and media alike, her ministerial responsibilities in the Napthine Government were the Local Government, and Aboriginal Affairs, portfolios. Perhaps her retirement created an opportunity for change. And perhaps it didn’t matter if it was ex-adviser to Powell, Greg Barr (who, by anecdotal accounts, people had no personal issue with) or another National candidate, the same result was always going to happen during a change of the National guard. Then there is the dreaded social media. On Saturday night, Peter Ryan took a swipe at Sheed’s social media campaigning, and suggested there hadn’t been enough old-fashioned boots-on-the-ground campaigning. But the thing is Suzanna was doing both – she was out and about, and she was also on social media, and by accounts from locals, her face was on posters everywhere. The idea that using social media in election campaigns is only for the frivolous is so 2008. For Ryan, who is incredibly active on Twitter, to have a dig at social media is odd. And if Suzanna Sheed did only campaign online and won, so what? Maybe she understood the voters and went to where they were. Let’s pretend for a moment that grandparents, and well, anyone more than 30 years of age, don’t use, or get any news and political information from social media, that they only read printed newspapers and listen to the wireless. And let’s pretend that only people under the age of 30 use social media, and that is who Suzanna’s campaign targeted. There were 46,190 people enrolled to vote in the Shepparton electorate. The 2011 Census says there are 7598 of people between 20-29 years of age in the electorate**– on a rough calculation that’s around 16 per cent of Shepparton voters. Let’s assume most of them don’t really read the printed newspapers or listen to the wireless but can be reached and engaged on at least one social media platform – Facebook, Twitter, YouTube – pick your poison. Now factor in how many of these young Shepparton voters are unemployed and having it tough, thinking about their future in the electorate, wondering if the politicians even care. You start to see why communicating to all – in every way possible – is mighty important. All power to those who do, and to those who don’t, well, why on earth aren’t you? There is another factor to consider in the Shepparton election, one that is just over the electoral fence. In last year’s Federal Election, the independent Cathy McGowan defeated Liberal Sophie Mirabella in another safe Coalition seat in northern Victoria – Indi. This contest was given a lot of attention in the lead up to election night, with almost all media watching. Federal Indi is neighbour to the state seat of Shepparton. Perhaps seeing an independent shake a safe seat – a rural seat with small towns and regional cities they could relate to – gave confidence to Shepparton voters that it could be done, and that change to an independent would not make the sky fall in. The simple commentary after McGowan’s win was that she only won because Mirabella was so unpopular, that it was a protest vote. Some of that may well be true, but as Shepparton which did not have ‘a Mirabella’ has shown, it was probably more to do with voters feeling like they have been taken for granted for too long. And the right person coming along at the right time. Writing this, the official result for Shepparton is still to be confirmed and Suzanna Sheed is still cautious about claiming victory but either Shepparton voters have voted for change, or they have put the Nationals on notice and made the electorate very marginal. If a seat with margin of more than 20 per cent, held by a party for 47 years, can be taken by an independent, it should put all other safe seats on notice too. What a great thing for voters that is. If nothing else is learned from the weekend’s Victorian election, at least let it be that when Sharman Stone does inevitably retire from the safe Federal Coalition seat of Murray, nobody should leave it until election night to start to pay attention. Suzanna Sheed can be found on Twitter at @SheedSuzanna or on Facebook. * The Nationals did recently get an extra Shepparton to Melbourne morning service that will be a big help for those with 9am meetings in the city, specialist doctor appointments etc – one that gets to Southern Cross around 8am and leaves Shepparton at 5.15am. **It is too complicated (for me) to add in voting-eligible 18-19 year olds because of the Census age categories.